Like on any other view, you can use the left hand menu bar on the top left to switch views. You can also double tap the day number on the left hand side to zoom in to the day view for that day. 1) Tap on the '+' button at the top right. This will take you to the create event screen for the day listed at the top bar. 2) Long tap on one of the day's cells, an example event called (no title) will show for the selected day. If you tap on the + button here you'll be taken to the create event screen. 3) Long tap on an existing event, this leads to an example event called (no title) right below the existing event. If you tap on the + button here you'll be taken to the create event screen. When you long-tap on an event, you'll see an action bar at the top to cut, copy, edit or delete the event. Once you copy or cut the event you can long tap on a day or existing event to paste your event. 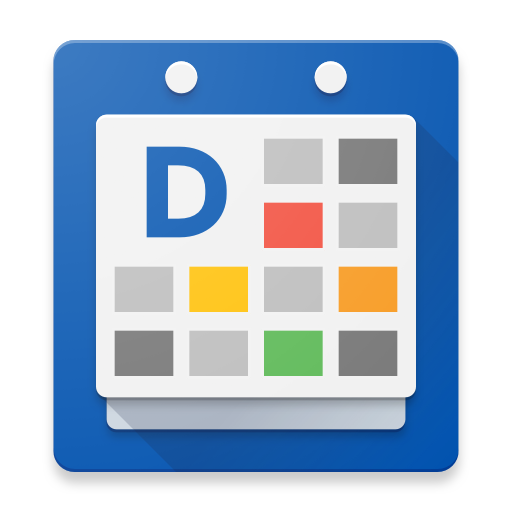 In DigiCal's left hand menu > preferences > calendar views > agenda > event color, you can choose to use your event's color as the tab color, or as the background color. When I select an event I do not get all the options of the action bar. All I get is the copy icon. Is this a bug? am I doing something wrong? Any help you can provide will be greatly appreciated. Have you checked whether you have the required permissions to edit your calendar events? If you have more questions, please send an email to digical@digibites.nl with your support request. There is something going on in this view. If I mark an event, all actions shows in the top bar (cut,copy). If I click the Ok mark in the top left corner and select another event I too only get the copy icon. If I click another event and then back again then the cut, copy icons shows up. I have permissions to edit the events. If I chose an event that shows the cut, copy icons and then press another event the edit button shows up (and I can edit). If I click OK in the top left corner and try the event again it does not show cut, copy edit. I think this is a bug. Thank you for reporting the bug, our developers have confirmed that they were able to reproduced it. We're going to fix it. If you would like me to keep you updated abou the bug, please send in a support ticket through digical@digibites.nl.